I was given this sewing machine by my mother inlaw. It was her mom's machine. Her mom's name was Ruth. That's my middle name! This is a 1949 Singer 15-91. 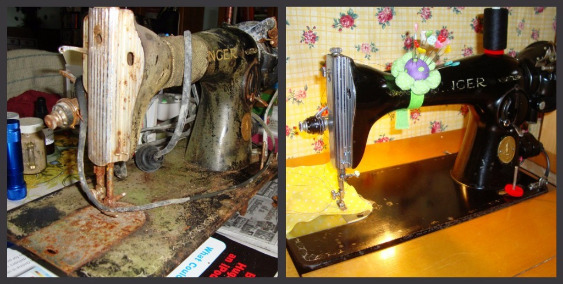 I've worked on sewing machines before, but this would be the biggest challenge yet! After replacing a few parts and a couple of weeks of elbow grease I have this machine sewing perfectly! It is not perfect however, I had no intention of doing a paint job.